The 13 most essential steps to successful blogging, helped me get back on track to doing one of the most important things I needed for my business. Blogs can be a very marketable and very profitable tool if used correctly. Profiting from blogs is just a matter of grabbing the attention of your audience and not having to do any actual salesmen approach selling. These steps helped me move from a mindset of – I QUITE – in regards to blogging, to wow this makes since. It made business since to me and it will make business since to YOU also if you follow these 13 most essential steps to blogging. One of the fundamental parts of a content marketing strategy is blogging. A blog allows your company to build its reputation as a thought leader and engage with a community of industry standouts and consumers. Blogs also make a huge difference when it comes to building business. HubSpot reports that marketers who use blogs generate 67 percent more leads that those who do not. First off, Blogging can only be done on a website that is hosted on the internet. 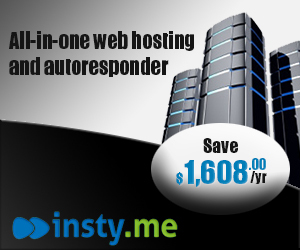 If you already have a hosting account and a website you are ready to go. If not you can go the free blog hosting service route. Lets talk about that. Starting with a free blog hosting service allows you to begin blogging instantly without having any advance knowledge of scripts, hosting, or programming. A free blog allows you to build an audience and buzz for your blog. It also allows you to focus on your content and not the internal maintenance of the blog. The best benefit of starting with a free service, is in the case your blog doesn’t become successful you do not lose any money on hosting etc. Another great benefit about a blog is that your content is organized in chronological order. For example, your latest entry is displayed first. When your blog traffic grows greatly and you are ready to upgrade to your own domain then you can simply make your last blog entry the announcement of your “move”. Simply add a last entry stating that your blog has “moved” and type the new blog URL address. This will direct visitors to your new blog site and keep your following, without a major inconvenience to anyone. Upgrade as you need to…but only when you need to! Now this is where many of us get confused, because for the most part we try and re-invent the wheel. Stop right there. A niche is simply a targeted product, service, or topic that YOU decide to talk about. How easy was that! There is a little more to it from a business perspective but do not worry we will get there. Choose an area which you can enthusiastically write about on a regular bases, daily is best. To help narrow things down, you can use keyword research services like Google, Zeitgeist, Yahoo or Buzz Index to find popular searched topics. The key thing is to talk about a topic that has an audience. So, what did we learn? A niche is a topic that has an audience. Good job. An example of a niche, (if you are a cat lover), would be to blog about your cat or about the species of the cat family. Remember if there are people who are interested in hearing about your cat or the species of the cat family you choose, then you have a niche. You can even choose to build your audience for a market which an audience does not exist, but first you must build your blog. This step is a must and not a suggestion. Updating your blog daily not only keeps your blog more interesting to readers, but it also gives your blog fresh content on a day to day making it more appealing to search engines. Not updating your blog on an occasional holiday or one day here and there is understandable to most, but missing days at a time or weeks is unacceptable and will most likely result in your blog being unsuccessful. Updating your blog daily with multiple entries will also increase the interest of your audience. Until you have a steady audience you should try to update your blog everyday with at least 3 or more daily entries. It may even be wise to schedule a set time which you dedicate to your blog each day. Give yourself work hours and treat your blog as a job, what happens if you don’t come to work for days or weeks…you lose money or worse you get fired! Same applies here…if you don’t update your blog for days or weeks you’ll lose visitors. It’s no secret. You must have traffic to profit from blogs. There are numerous ways to build traffic. Paid advertising, free advertising, viral marketing, search engine marketing, RSS/XML feeds, and word-of-mouth. You should always use your blog URL address in the signature of your email, forum discussions, message boards, or any other communication media. You should submit your blog URL address to search engines and blog directories. You should submit your RSS/XML URL feed to blog ping services like, Ping-O-Matic, and Blogdigger. You should confidently share your blog with family, friends, co-workers, associates, and business professionals when it relates. You can also comment on other people’s blogs that are related. When this is done correctly, there will be a link from your comment to your site. You can add in an Info Graphic to your post from time to time. These can be self-made or you can have them created by professional service providers on Fiverr. Info graphics are one of the most shareable things on a blog. One more great way to get traffic is to create a video related to the topic, publish the video and link it back to Your blog in the description. All of this will start the traffic slowly but the momentum will grow and more and more traffic will come. Does your blog has traffic? How do YOU know? To begin with, just because no one is leaving comments doesn’t mean your blog isn’t growing. Many visitors do not leave comments but they are returning visitors. I know it sounds crazy but with blogs people are more interested in what “you” have to say, than their own opinions. Many visitors do not comment their 1st, 2nd, or 3rd time visiting. Some do not comment at all, but are active daily visitors. It is more beneficial to use a service which gives you advanced traffic analysis, such as keyword tracking information, referral information, and search engine information, but you DO NOT have to start there. When you use a proper page counter, you should begin to see how your audience are finding your blog. If it is being found through search engines, then the keywords that are being used to find your blog will be revealed. If your blog is being found by 1 or more keywords on a consistent basses, then focus your blog content around those keywords to make your blog even more powerful. Take it one step further by using these new found keywords in the post titles and as often in your blog posts as possible and watch the magic happen. Remember to keep the post legible and interesting. This is important. Your blog posts should be short & concise where ever you can. Sometimes there are exceptions to the rule and you have no choice but to blog lengthy posts, but try to avoid this as much as possible. Try to include non-advertising graphics, pictures, photos, and art in your blog post. Not too much. Once a week is fine. Graphics can sometimes bring your blog to life. Of course, the content of the blog is the most important aspect and you do not want to overshadow your content with graphics, but displaying graphics can add a bit of spice to the blog. Be choosy about your graphics and make sure they fit your entry topic. You should add content with the graphic, at least a caption. Original graphics, photos, pictures, and art is recommended. Once you get blogging down pat by following the 13 most essential steps to successful blogging you may consider developing more blogs. You could use multiple blogging accounts (free) to attract more people. Basically, the more blog accounts the better (be sure to read and adhere to the Terms of Service for each site). You can copy/paste from 1 blog to all others. Having different blog accounts is like having a publication in different newspapers. This enables you to attract more visitors and this also increases the chance that at least 1 of your blogs will rank high in the search engine based on your focused keywords. For more information on Blogging Platforms, click on the above image. A blog is most successful when it is kept personal. Try to include personal experiences which relates to the topic of your blog post. Your personal touch will also enhance engagement of your visitors. Your blog may be for business intent but stay away from the business style of writing. Write with a more personal style and use first-person narratives. Do not write any of your entries as sales letters, instead share product reviews and personal endeavors. Now the fun begins. Once you have the traffic you deserve, you should begin interacting with your visitors. Create a regular theme such as: “Monday Money Tip” or “Picture of the Week” which entices your readers to look forward to each week. Try your best to find exclusive information that not many have. Do not disclose any confidential or secret information which is deemed illegal or can potentially get you into trouble, but try to get the scoop before everyone else does. Give your best effort to dig and search the internet for exclusive information and you will possibly come up with something useful. Your readers will appreciate this and they show their appreciation through word-of-mouth referrals. Imagine how many readers will tell their friends, family, and others about information they only can find at your blog. At the very least it should be new approach information. Show me the money. Once your blog has gained some real momentum and your blog traffic is increasing then it is time to start thinking about turning your traffic into profit. For example: affiliate marketing networks payment plans are different from e-commerce arrangements. There will also be differences in the way you get paid if you are promoting your own products. There are many more variations in the market place that you will discover as you choose the products to promote, but in any case you will get paid for sales. Do YOU feel like a professional NOW ! YOU are! So one question? What are you still doing with that free blog hosting service? It is time to upgrade to a domain hosted solution. You need to get a web host and choose a domain name for your blog and get cracking. The world has opened up to you. There are a few blogging software’s to select from but, WordPress at WordPress.org is probably the most common. When you have your new blog domain setup and ready for traffic then it is time for you to announce your move on all your previous blog accounts. Your last entry to the blog should be a “move” announcement. The title should be “Moved” and the blog entry should state something like “I have a new home for my blog, please bookmark and follow the link: http://www.YourNewBlogDomainName.com”. This way all returning visitors and new readers should not have any problem finding your new blog domain. Plus, search engines can easily index and crawl your new blog, since your old blog should already be popular with the search engines. At the level of a professional blogger you are now part of an elite group and you may want to team up with 1 or more other bloggers. Blog networking will create a more interesting and more powerful blog development. The old saying “two heads is better than one”, more authors mean more advertising and exposure because each author will have a vested interest in the blog. The idea of a team blog is to make it profitable and rewarding for all authors, while continuing to target the blog topic and keeping the blog interesting for visitors. Making money online is not an overnight experience like many may think, but making money online is definitely a foreseeable possibility with a good blog. As well, growing popularity on the web is not an overnight experience, but through time, dedication, and persistence you will be rewarded with all the royalties of blogging. I am confident that the 13 most essential steps to successful blogging introduced here will get you well on the way to your path to success. Job well done. If you found this post helpful comment below and please share it with everyone you know by hitting one or more of the sharing buttons below to spread the word. Please come back soon for more marketing tips and strategies.